The Artesia City Council granted a request from the Artesia Fire Department to place restrictions on the sale and use of certain types of fireworks during Tuesday’s meeting. Fire Chief Kevin Hope informed the council the restrictions are the same ones the department has used multiple times in the past when drought conditions were deemed severe. He said that while conditions have been nearing improvement of late, they aren’t quite in the safety zone. The resolution, which was passed unanimously by the full council, restricts the sale and use of missile-type rockets, helicopters, aerial spinners, stick-type rockets, and ground audible devices such as firecrackers and chasers. Hope stressed that if Artesia receives adequate moisture before the council’s next meeting June 25, the restrictions could be lifted. 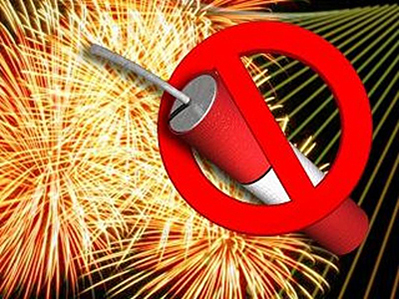 The council acknowledged enforcement of the restrictions would be difficult due to the fact Eddy County officials have not instated a ban of any sort, meaning restricted fireworks can still be sold outside of city limits. Within them, Hope says local departments will handle reports of illegal fireworks as they come in, provided the restrictions remain in place through the Fourth of July. The council also granted Hope’s request for a ban on personal fireworks and grills – excepting gas grills – inside Jaycee Park during the city’s annual Fourth of July celebration. That ban has been in effect for a number of years in order to ensure the safety of residents watching the city display from inside the park. In other business Tuesday, the council gave notice to the public that, at its next meeting June 25, the city will be considering the approval of an ordinance for the private sale of public property within the Artesia Industrial Park to Chase Energy Services. Linda Stevens, director of Artesia Clean & Beautiful, provided the council with an update on the program’s recent activities. Stevens said a total of 62 people received more than 400 free trees during AC&B’s Adopt a Tree event in April, and that her summer youth volunteers were actively engaging in projects, primary among them the upcoming E-Waste Event. The event will run from 9 a.m. – 5 p.m. Friday and 9 a.m. – 2 p.m. Saturday at the Eddy County Fairgrounds food court. AC&B will accept electronic waste such as office-related equipment, fax machines, copiers, typewriters, server and telecom equipment, and CPUs, and consumer electronics such as DVD, VCR and game consoles, radios, telephones and cell phones, cameras, and stereo equipment. A $5 charge will be applied to large CRT monitors, and televisions and home appliances will not be accepted. CARC Document Destruction will be on hand from 9 a.m. – 1 p.m. Friday to accept residential documents only, up to 100 pounds, for shredding. For more information on the event, contact Stevens at 748-3192. Infrastructure director Byron Landfair told the council the infrastructure committee would be able to view the phasing plan for the upcoming Hermosa Drive Project June 21. The project, which will be completed in five phases from 13th to 26th streets – starting at 13th – on Hermosa is projected to last a total of 21 months. Landfair said the city had two public meetings planned thus far, which would be announced as the project nears. The project is expected to begin toward the end of the year. Around that same time, Landfair said, construction will begin on a new water tank in the Jaycee Park area. The city originally planned to construct a water tower, but that plan was denied by the Federal Aviation Administration. Landfair says the new plan is to erect a surface tank with a series of boosters, similar to the “Bulldog” water tank along U.S. 82 West. The council also approved its Fixed Asset List for Fiscal Year 2016-17. In personnel business, the city approved the hiring of Ramon Rodriguez as a police officer at a pay rate of $3,499 per month; Jorge Martinez, Cemetery Equipment Operator I, $2,482 per month; and Fabian Munoz, firefighter/EMT, $2,809. Permission to advertise and fill the positions of firefighter, Street Department equipment operator, mechanic and park foreman was also granted. At meeting’s end, Miller informed the council he had been approached by the Artesia Aquatic Center Foundation regarding the hope the AACF would be able to fund Phase I of the aquatic center construction through strictly private donations. As such, the AACF requested the city consider changing its commitment to Phase II – the indoor pool portion of the project – in conjunction with the Artesia Public Schools. Miller said the city was in communication with the APS and would be discussing the matter further. The mayor also pointed out the council’s next meeting would be held Monday, June 25, rather than Tuesday, June 26, due to the fact the Eddy County Commission will hold its next meeting in Artesia, at 6 p.m. June 26 at the APS Administration Building. • an agreement for the provision of pre-employment physical examinations and drug/alcohol screenings. • the reappointment to the Commission on Aging Advisory Council of Dorothy Frazee, Juanita Molina, Lucy Urias and Eleanor Larson, whose terms will expire in June 2020, and Olympia Posey, whose term will expire in June 2019. • the resignation of Andrew Sena, firefighter/EMT, effective May 31. • the resignation of Ahmed Ben-Ahmed Abdulla, Street Department equipment operator, effective May 23. • the resignation of Jon McDonald, parks foreman, effective June 15. • the scheduling of a public hearing for July 10 for consideration and approval of an ordinance for the sale of city property. • ratification of Miller’s approval to set a public hearing for July 10 regarding whether the Alcohol and Gaming Division of the New Mexico Regulation and Licensing Department should approve the proposed transfer of ownership of State Canopy Liquor License No. 1326, with on-premise consumption to Best Western Pecos Inn. • one police employee to attend ICS-300 for Expanding Incidents training in Carlsbad. • one water employee to attend the NMWWA Workshop in Ruidoso. • one police employee to attend the NMML Policy Committee meeting in Albuquerque. • one finance and administration employee to attend the NMML Policy Committee meeting in Albuquerque. • one police employee to attend Legal Update training in Roswell. • the use of Central Park from 9 a.m. – 4 p.m. Oct. 19-20 for Art in the Park, as requested by the Artesia Arts Council. • the use of Main Street from Bulldog Boulevard to Roselawn Avenue from 4-5 p.m. July 23 for the Eddy County Fair Parade, as requested by the Artesia Chamber of Commerce and Eddy County Fair Board. • the use of a standby ambulance from 7:30-9:30 p.m. July 27-28 for the Eddy County Fair Rodeo. • the use of Guadalupe Park from 5-10 p.m. July 22-29 for a tent revival, as requested by Forever Free Fellowship.